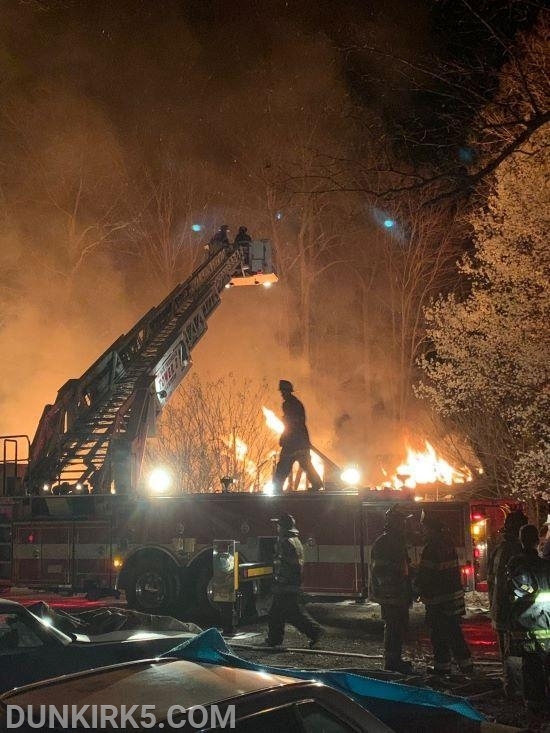 Shortly after clearing the Gordon Stinnett Avenue fire, at 2221 hours, Engine 51 & Tanker 5 were dispatched to 2420 South Solomons Island Road in Prince Frederick for the house fire. Units arrived to find fire throughout a two-story single family dwelling. Engine 51 assisted with extinguishing the fire. Tanker 5 supplied the fireground with 5 loads of water. The Dunkirk Volunteers operated on the scene until 0117 hours.